Today, I would like to introduce a wonderful recipe called Rainbow Quinoa Salad. 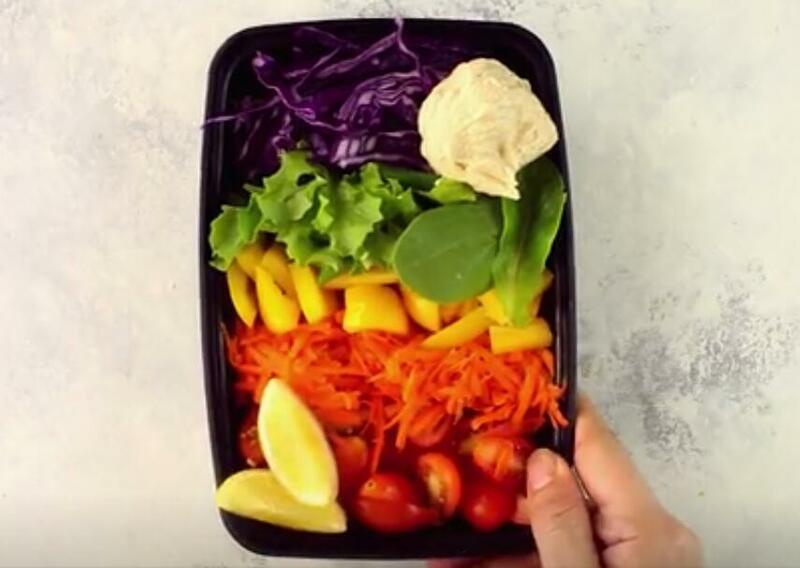 With delicious rainbow quinoa salad, your body won't even know it's on a diet. 1. Add the cooked quinoa to the bottom of a meal prep container to form an even layer. 2. In lines covering the quinoa, add the tomatoes, carrot, bell pepper, mixed baby greens, and red cabbage. 3. Top with the hummus and a squeeze of lime.